Use Up and Down arrow keys to select a directory. Use the Enter key to open the necessary directory. 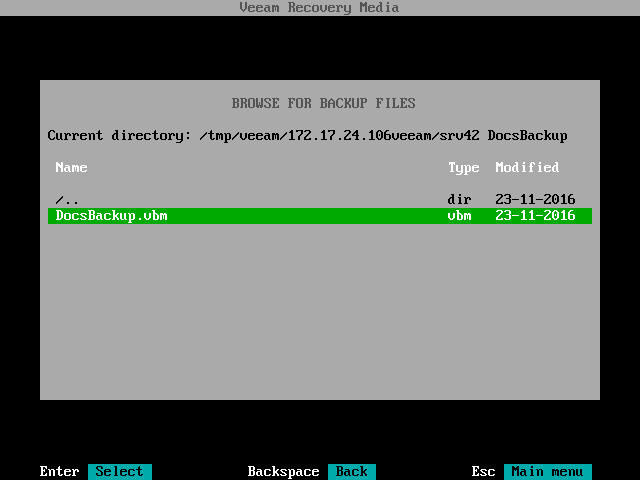 In the directory where the backup file resides, select the backup file and press Enter.